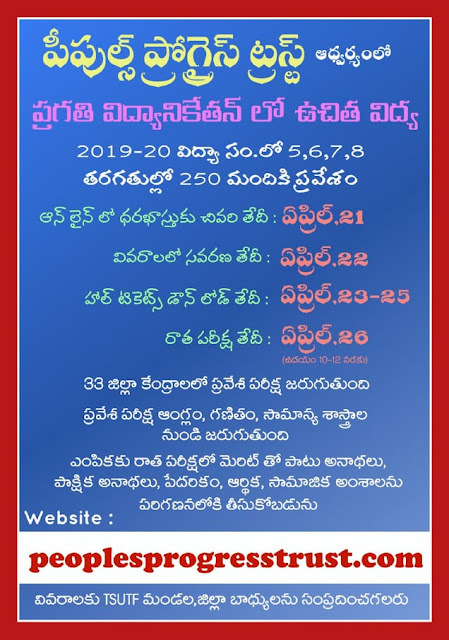 Free Education to Poor/ Economically Background Students by Peoples Progress Trust ( Under the Guidance of Sri IIT Chukka Ramaiah) Entrance Test 2019 | Sri IIT Chukka Ramaiah Peoples Progress Trust Entrance Test 2019 for Economically backward students to achieve Free Higher Education | Eligibility , Test pattern , Subject , venue complete details read below. Peoples Progress Trust Under the Guidance of Sri. IIT Chukka Ramaiah established in the year 1995 at Pragathi Nagar , Hyd is committed to give quality education and financial assistance for meritorious and Economically Backward Students. 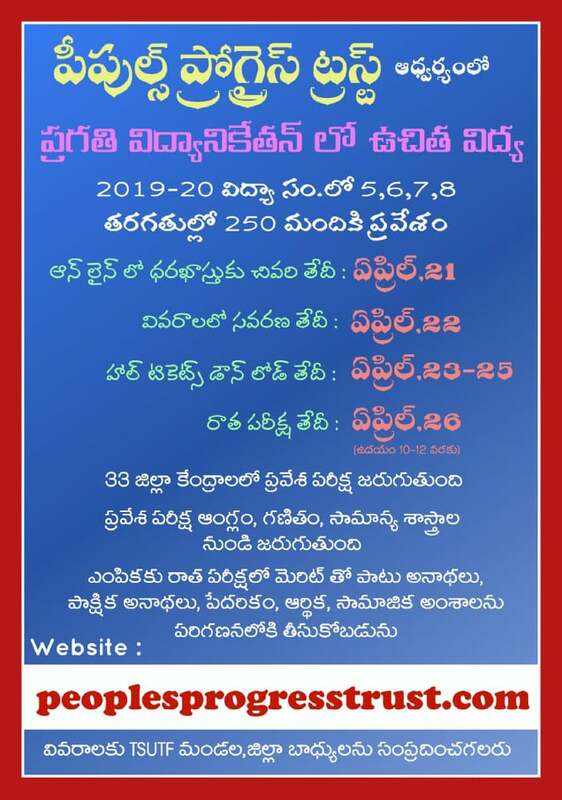 To identify the beneficiaries,Peoples Progress Trust is conducting written Exam 2018. Total 250 Students will be selected and will be given with free and Quality School Education and Higher Education in English Medium. Peoples Progress Trust PPT is proividing free and quality education ,food ,medical facilities and hostals to the selected students. Hence ,even this year applications are invited from 5,6,7,8th class Economically backward students to take admission in this Trust through a written Test conducted at the students respective District Head quarters, Total number of seats are 350. Every year the selection process will be same. All District Coordinators Mobile Numers are given under to take the guidance.